Today is polling day, everyone in the UK who is eligible ought to be voting. Do please go to the polling station if you’ve not yet sent in a postal vote. Go early if you can. The polling stations open at 07:30 in most places and stay open until 10pm. If you haven’t already decided which way to vote there’s still time, and if you’ve decided you don’t like any of them then at least go and register your protest. This could be by voting for your second choice so that the majority in an otherwise safe seat is kept low, or by spoiling your vote. Failing that you might want to vote tactically. If you need help with that see the post from a couple of weeks ago. Please, just go and vote. 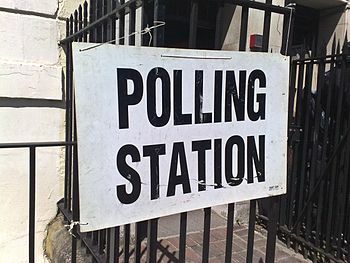 Polling day 2015: what to do on May 7th? This entry was posted in themself and tagged Ballot, Conservative Party (UK), GE2015, General Election, Labour Party (UK), Liberal Democrats, Member of Parliament, United Kingdom by James. Bookmark the permalink.